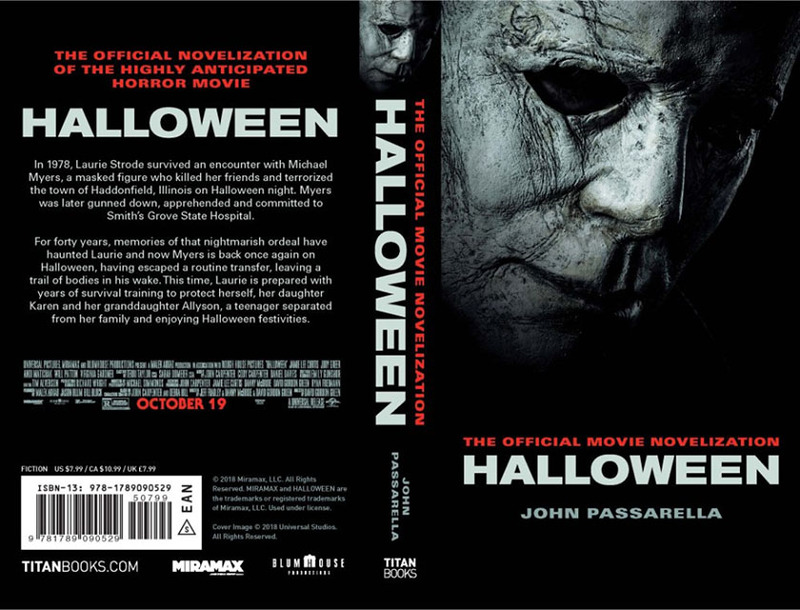 As if The Year of the Shape could get any bigger, it just did, with the announcement that the official novelization of the new Halloween movie will be released just days after the film arrives in theaters. Miramax, Blumhouse, and Titan Books will release the novelization on October 23, following the film’s opening on October 19. The official movie novelization was written by Bram Stoker-award winning author John Passarella, whose previous works include several works that are set in Joss Whedon’s Buffyverse and some more recent Supernatural tie-in novels. So in addition to the new Halloween movie, the soundtrack by John Carpenter, the officially licensed mask, the H40: 40 Years of Terror convention, the Neca Ultimate figure, the Mezco One:12 Collective figure, the Living Dead Doll, and lots more, we can now look forward to digging into the novelization too. You can read the mildly spoilerish (you’ve been warned) official synopsis from the book’s back cover below, and then pre-order for $7.99 from Amazon here. ← Halloween Slasher ‘American Fright Fest’ Available Now on VOD!